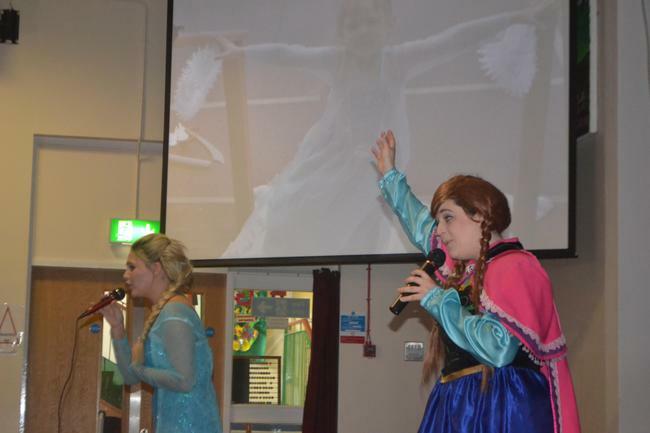 "LET IT GO!" 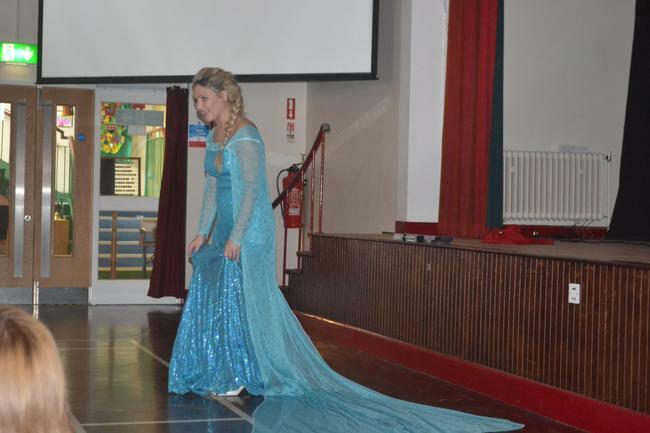 from the Disney movie FROZEN. 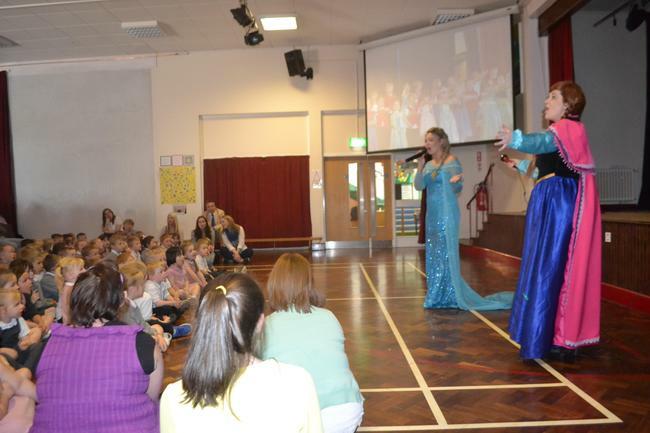 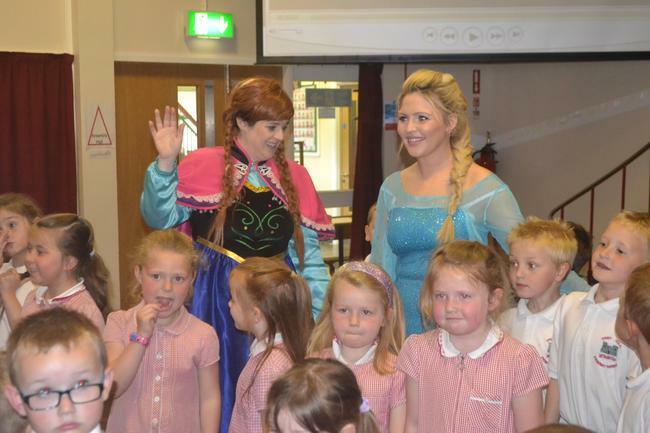 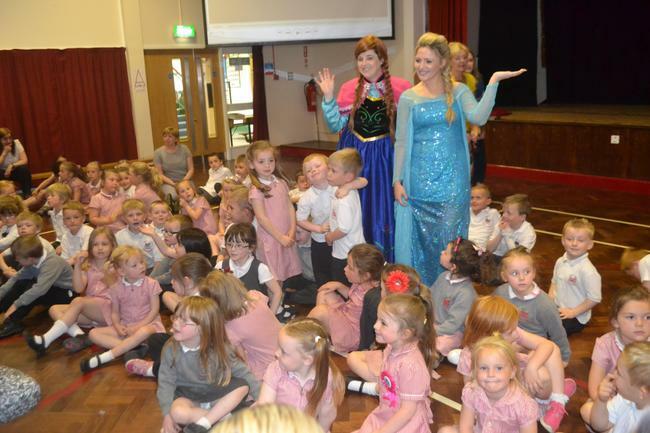 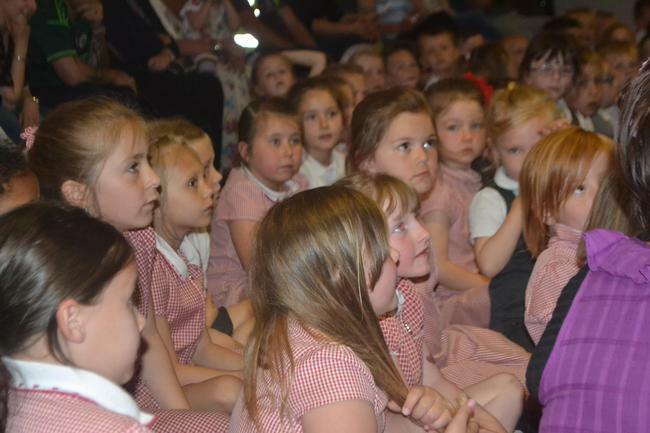 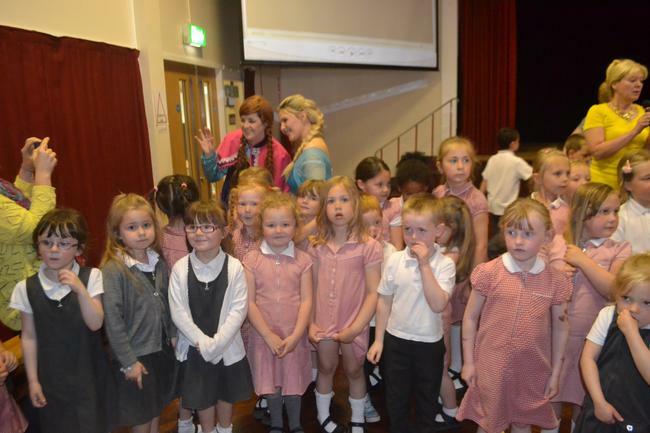 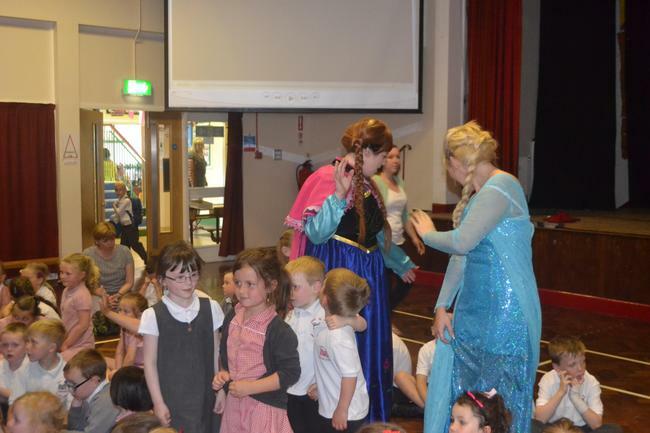 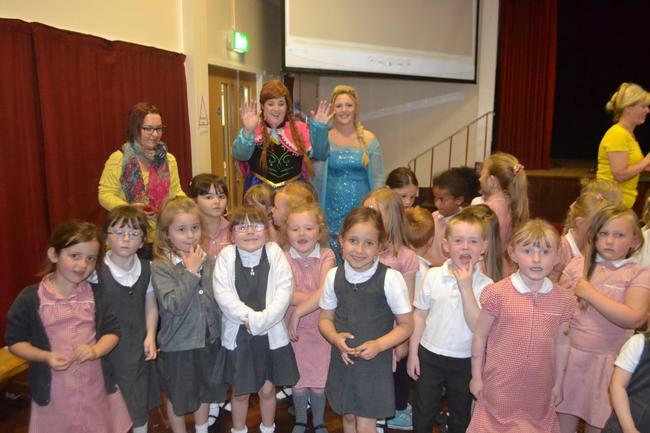 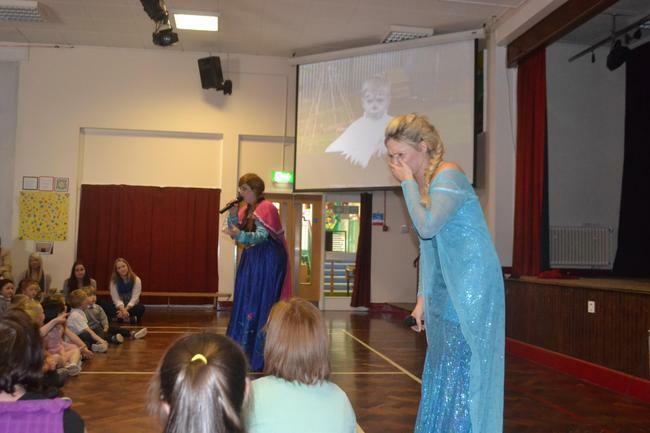 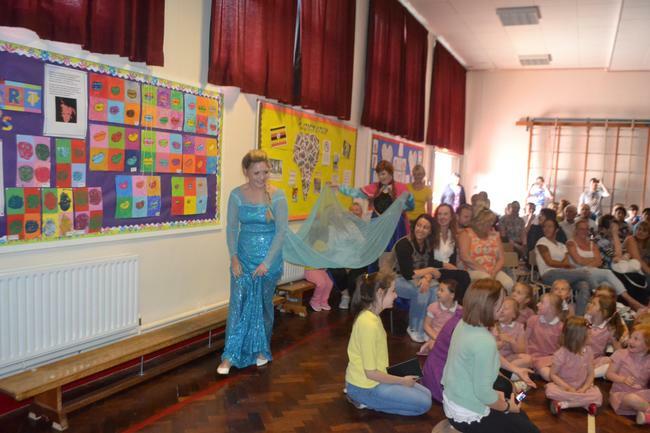 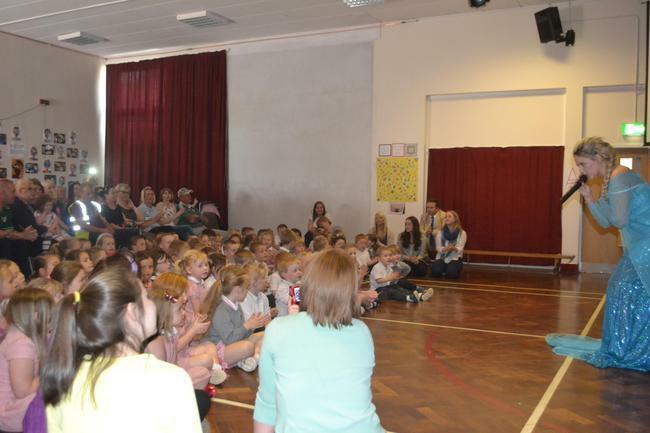 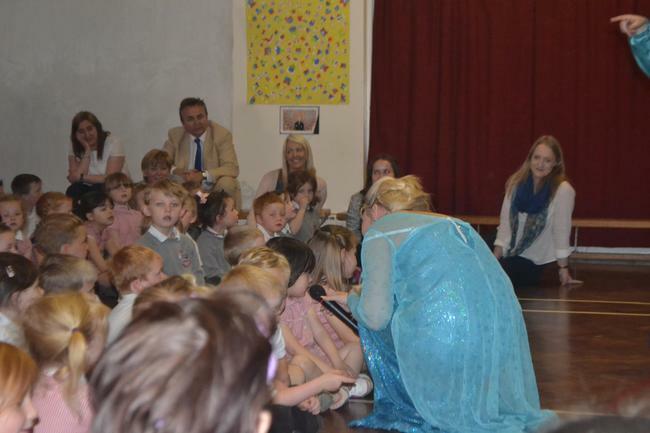 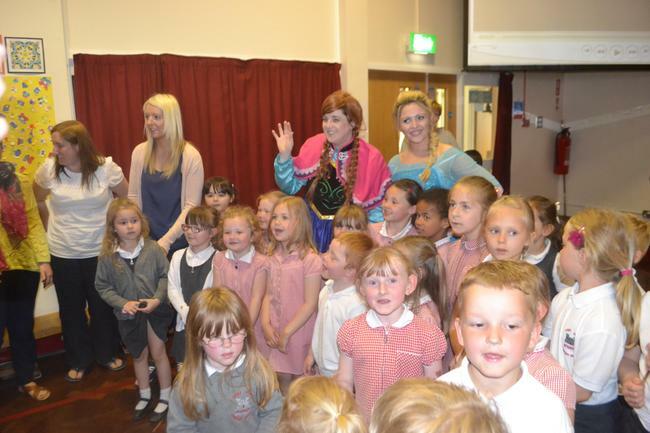 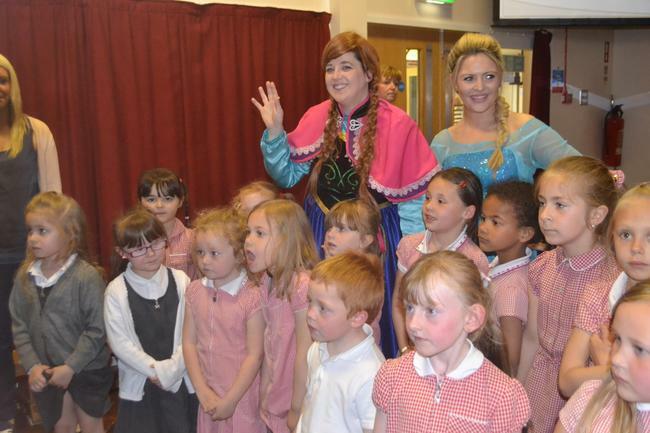 For a special treat Elsa and Anna came to visit us in our school! 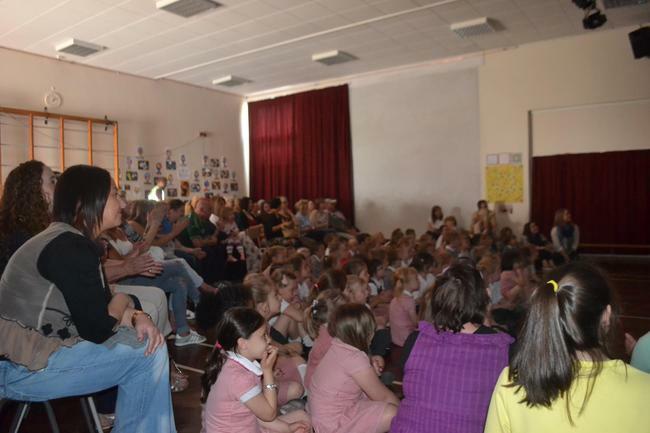 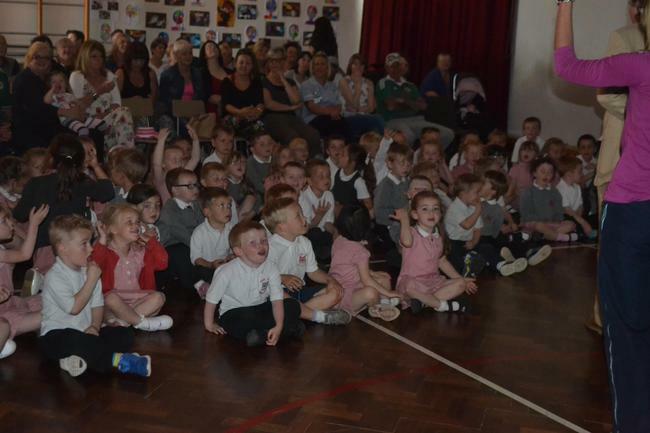 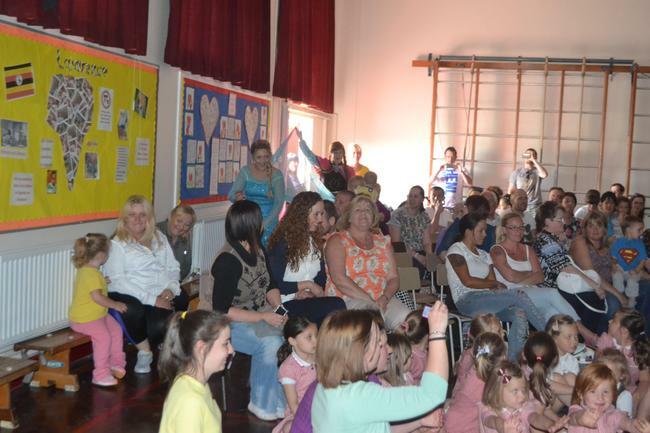 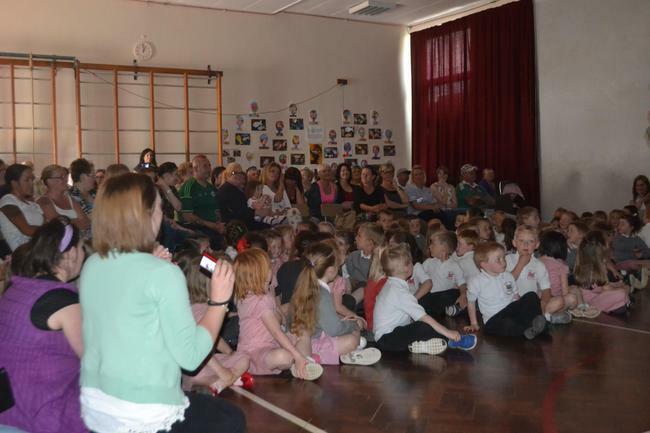 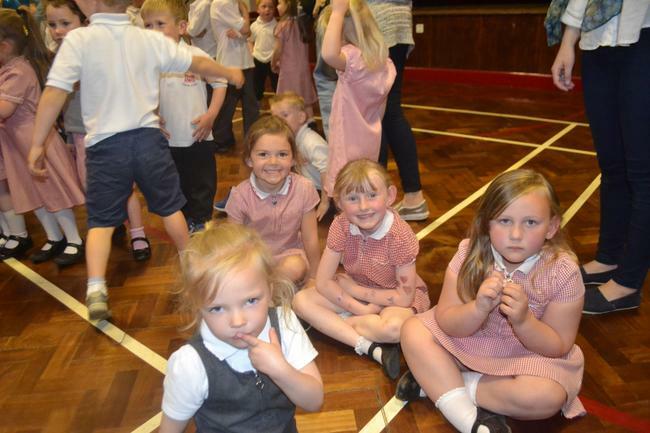 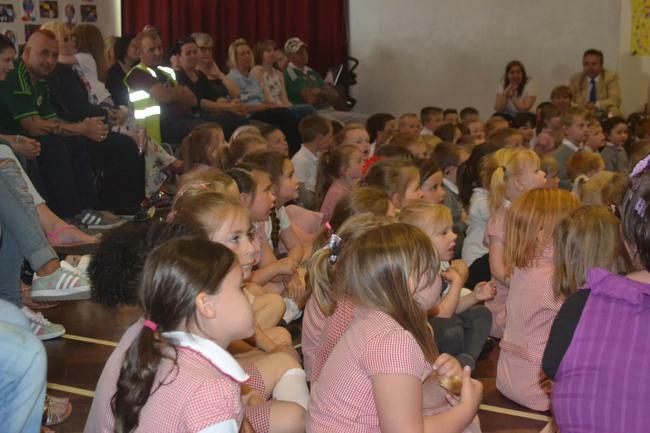 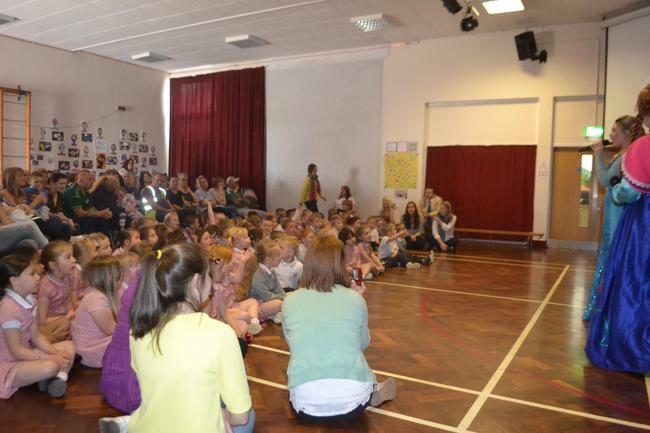 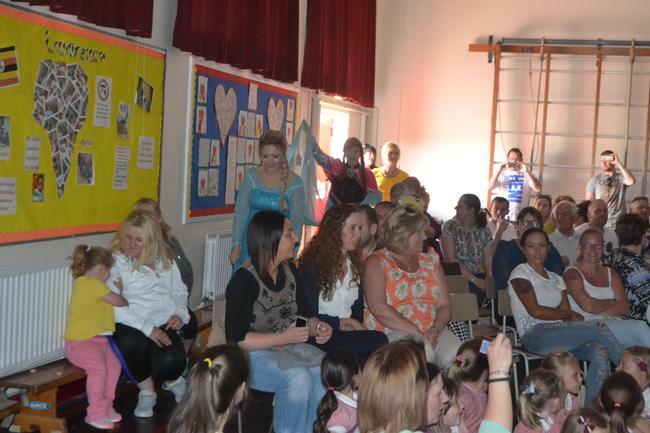 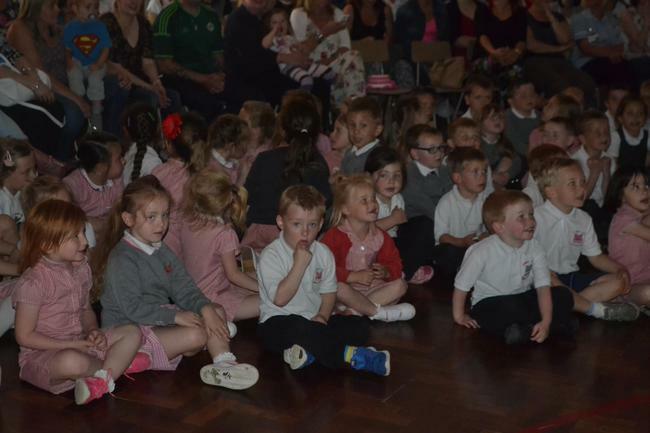 Our Parents and Guardians were also invited to join in the fun! 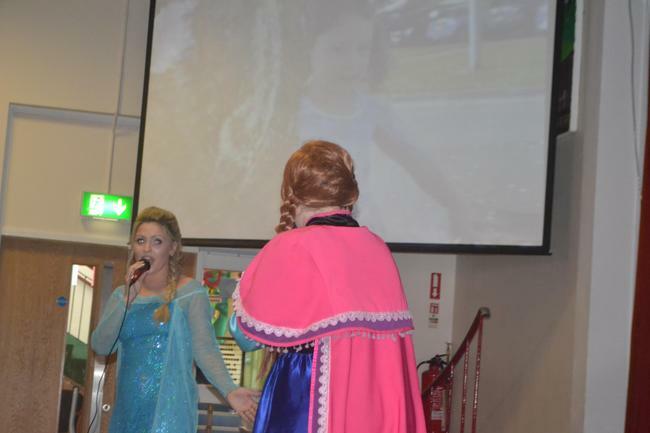 Elsa and Anna sang songs from the movie and we joined in!